fast turnaround and a lifetime guarantee. Don’t let your insurance company decide for you! You have the right to go to the repair shop of your choice. Discover the ways we can work directly with your insurer to get you a better deal with less hassles and higher quality repairs. What should I do after my accident? Can you help me negotiate my insurance claim? Do you offer a lifetime warranty? 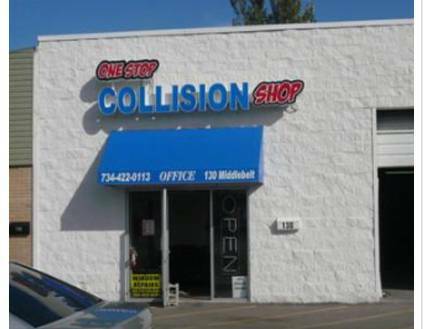 Welcome to One Stop Collision Shop in Garden City MI, proudly serving Wayne & Washtenaw counties. At One Stop Collision Shop, we’re committed to providing each and every one of our customers with quality repairs and exceptional service. We work with you to help you understand the auto repair process and deal directly with your insurance company to ensure superior results at the lowest cost to you. Our high quality auto repairs are made possible only by our lifelong commitment to collision and auto body work, and we always take the time to educate our customers about the collision industry. See why "One call does it all!"